Any parent will tell you one of the best parts of having children is when their children begin to share their interests. I am no different. My son has been holding a controller since the time he was able to sit up on his own. Initially, he was satisfied by simply pretending to do what I was doing. At that point, holding an Xbox 360 controller that wasn’t even connected entertained him. As he got older, he actually wanted to learn how to play. I honestly don’t remember the first game we played together but I think it was a game on Xbox Live Arcade. Even though I thought it was great that he was getting into gaming, I made a conscious effort not to play certain games around him. 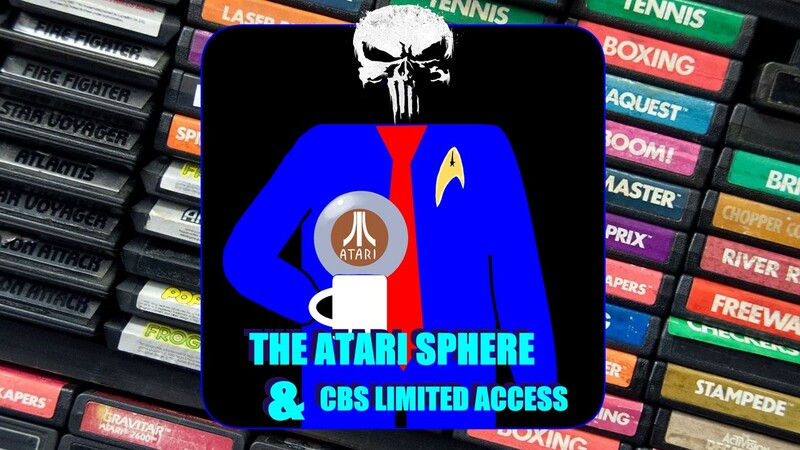 As he aged and started to develop an understanding of what he was seeing on the TV screen, I started having to wait later and later to play games like GTA, Gears of War, and Metal Gear Solid. Having kids is part of the reason games rated “Mature” take so long to get played in the Washington household. After years of observing me and playing age appropriate demos, it became clear that he was ready for a console of his own. So on his 5th birthday he got what most kids 5 year old kids coveted in the late 2000’s—a Nintendo Wii. He received a number of games from family and friends but it was all about Wii Sports. We had plenty of family bowling matches that I usually won. That’s right, I’m one of those dads that doesn’t just let kids win. We also played Power Rangers Samurai, Mario Galaxy, NBA Jam, and Mario Super Sluggers together. My son was happy with his Wii for a while but the more he watched me play games on Xbox 360 and PS3, the more he wanted to learn about the games that I played. The time I had been waiting for since his birth had finally come, it was time to teach him to play NBA 2k. Basketball is my favorite sport, in the way some people buy Madden or COD every year, I buy NBA 2k. I started playing NBA 2k every year back in 2005 when it was $20 and I will probably play 2k16 as soon as I finish writing this. That’s how much I love it. Although I was excited to share my favorite pastime with my first born, I was a little apprehensive about teaching him to play games on my current console. I didn’t know how well things would work out when we both wanted to play the same games. You may be thinking “you know Shaun NBA 2k was on the Wii.” I know that and those versions were pretty much trash. I couldn’t have my son coming of age playing inferior versions of games. He picked it up a lot faster than I thought he would and at that point in time, I knew I was raising a future gamer. NBA 2k wasn’t the only game we played together on Xbox 360; I also introduced him to some of the classics. We played through some of my favorite arcades games like Teenage Mutant Ninja Turtles, X-men, and The Simpsons arcade. Before I knew what was happening I was buying games for him on my console—WWE 2k14 was the first. We had a lot of fun with that game. We took turns playing matches in the “30 years of WrestleMania” mode. Even though he was (and still is) a huge wrestling fan, he was only about seven years old at the time so he didn’t know much about wrestlers from the past. The game really helped him to learn about the history of certain wrestlers. We also played tag matches together and went through the career mode. He loved to reenact whatever matches were on TV that week. A few months later I purchased a PS4 and realized that my time with PS3 and Xbox 360 was pretty much over. This gave my son something that most kids his age only dream of…he had every console of a generation in his bedroom—Nintendo Wii, Xbox 360, and PS3. It was really nice because my gaming time increased with the PS4 and instead of kicking him off his games on the main family TV; he was able to play them in his bedroom. He really had no idea how lucky he was to have a father that was a fellow gamer. As much as I didn’t want him to have his own games on PS4 I could not, in good conscience, buy him last generation versions of games when they were also available on PS4. From that point on we basically shared my PS4 and now there is an Xbox One in the mix as well. That leads me into the games we are currently playing. We play head to head occasionally but it doesn’t tend to end well if he loses. Like a lot of kids, he likes to talk trash if he wins but hates to lose. I don’t always win but when I do I trash talk better than he does. He seems to start a new season once a week, play a game or two, and move on. He also loves to play with the Warriors which isn’t at all surprising since all kids love Steph Curry. He created himself as a running back for the Seattle Seahawks in franchise mode. We usually take turns playing through games with his character, trying to make sure he hits his weekly and season goals. He thinks I’m an offensive coordinator because he always asks me what play he should run. We play head to head sometimes but for some reason he doesn’t care as much about beating me at Madden as he does NBA 2k. He also loves to play Draft Champions. I was able to get Lego Batman 3 for $6 on Black Friday and I like being able to introduce him to different characters in the DC universe that he isn’t familiar with. He loves playing as The Flash even though he has issues controlling his speed. I like to let him try to figure out puzzles before I just tell him what to do. Our favorite match to play is a tornado tag ladder match since there are no tags and no disqualifications. My son usually takes an absurd amount of time to create a wrestler who we then take from a nobody in NXT to the WWE World Heavyweight Champion. We take turns playing the matches and have somewhat in depth discussions on how to upgrade the character and what moves do and don’t work. At the time of this post we are closing in on becoming the number one contender for the NXT Championship. My son was even more excited to play this game since it covered the movies we had watched. Even though most adult gamers like how DC Lego games contained original stories, he really enjoys knowing what to look forward to and when certain characters will be playable. His favorite characters are Iron Man (because you can change what version of the armor you are wearing on the fly) and Quick Silver. What can I say the boy loves the speed. As my son gets older I will definitely try to get him into different genres of games. As of now he loves sports games just like I did at his age. Hopefully sometime soon he will ask for a game that’s out of his comfort zone. Until then, I’ll let him make his own gaming decisions. He still has a long way to go until the first time we play GTA together. Fireside Discussion: Chapter: 5 Seductive Marketing Anyone? 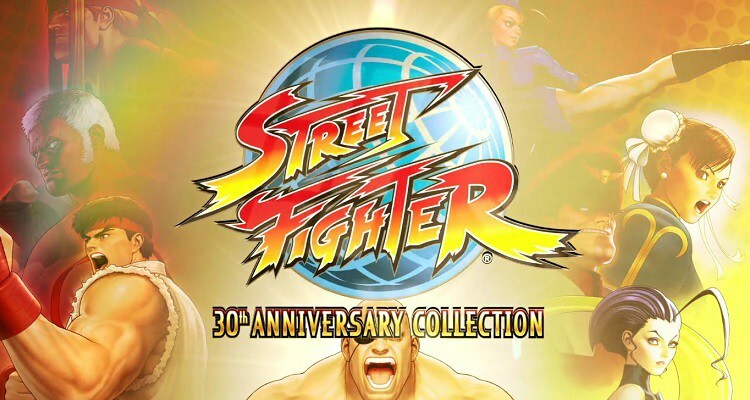 Street Fighter 30th Anniversary Collection Announced! Where Did the Scores Go? What a wonderful article. I really enjoyed it. My daughter is 2 and she’s growing up with a tablet. I’m really excited to game with her. Thanks Joe, I appreciate it.